Like the Edit Foundry on Facebook... And if you are in region 9 of the NPPA like our facebook page too. When you make an edit, it's an important decision. Each edit should advance your story. So when do you make an edit? There are many reasons. Your story should have a rhythm, like a good song has a good beat. How do you find your rhythm? Here's an idea. Follow the rhythm of the narration and the soundbites. Have you edited a story that gets people talking? Whether it impacts lives, wins awards, or people just watch it over and over to learn. This entry is about that type of story. If I were to rank edits I did over the past 20 years, this is in the top five. 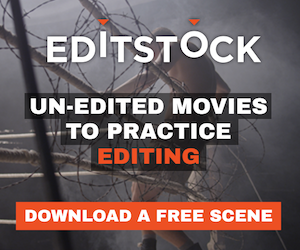 Marking an In on your clip midmotion will practically help every edit you ever make. Editing midmotion, starting the edit after an action has started, hides (which is what editing is supposed to do) a lot. This entry is about sequencing. You already know about sequencing? Please, bare with me. You might learn something even if you didn't understand about sequencing. A motion effect changes the size, shape, opacity, duration, position of your video, image, text or graphic in your projects. Motions effects are easy. I'm not going to explain the how of motion effects. I'm going to explain the why. This is a style that you could use no matter what type of storyteller you are. I call this jump editing. Jump cuts are intentional. There are some rules to jump editing (or guidelines). Are you ever given a story that just screams jump cuts?